2016 was one of my busiest travel years and I’m proud of it because it wasn’t just about testing out planes, but rather exploration and also doing some good through our Points for Peace campaign in Guatemala, Ghana and South Africa. With each country, I met incredible new people — like Nobel laureate Rigoberta Menchú Tum in Guatemala — and experienced new cultures, like becoming a traditional chief in Ghana. I did get to fly some new airlines and stay in some incredible hotels, but by far the biggest success was seeing more of the world and even getting to take my parents on the trip of a lifetime to Africa. As you know, I pay for all of my own travel, whether in miles and points or cash, and all TPG employees do the same. When we experience travel, we want to be unbiased in our recommendations to you. I do believe you can do both and I don’t judge publications/blogs that do take free trips, but my personal belief is that we need to practice what we preach, and luckily, we have the means to pay for our own travel. Points from business spend on credit cards and online advertising are as lucrative as ever, and as the site grows, so do our expenses, so we have a nice cache of miles and points for even more trips in 2017 — stay tuned. Without further ado, here’s a recap of my travel year. I didn’t get a chance to review some hotels and flights, so this is my chance to give you my heads up on experiences I’ve yet to write about. 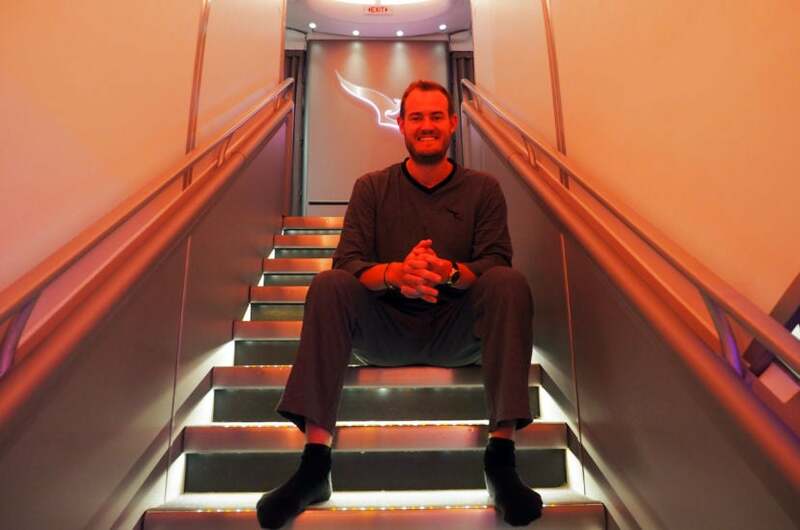 Flying first on Qantas’ A380 was my favorite redemption of the year. Because there’s so much to digest from the year, I figured that I’d highlight some of my favorite — and least favorite — flights, hotel stays and experiences from the year. It’d be hard to start my year of flying off with anything other than domestic trips, where I hop around from segment to segment the most. A couple of years ago, I dropped Delta in favor of American. Up until this year, I had no regrets about the decision. AA has always served me well, especially because I live in Miami and New York and commuting between the two is easy (and these days, it’s easy to fly on lie-flat beds between the two cities when flying out of JFK). I must say, however, that this year wasn’t the best for AA — the largest and most obvious issue being its devaluation. With that, I also have to say that my personal experiences with the carrier haven’t been up to par. There have been so many instances this year where my bags have taken about an hour to get to the baggage claim and where gates haven’t been ready at major hubs. And then there was the instance where I was flying from Miami (MIA) to New York (JFK) and the crew let us off as if we were an international flight — it was a huge fiasco and we ended up breaching the border because of poor planning and execution by AA employees. I’m not saying all AA employees are bad — my flight attendants are generally very nice — but I think operationally there is room to improve things, such as the food and the fact that there are still so many ancient 767s. I tried flying AA home from New Zealand earlier this year but the flight was delayed 20 hours! You earn half as many EVIPs, which aren’t clearing in advance, and miles have been devalued this past year. It’s enough to make any loyal AA flyer concerned. But, I have requalified for Executive Platinum status with AA after getting to a little more than 154,000 EQMs. I’m not in love with AA — I will say that. Who am I in love with? JetBlue’s Mint product. Overall, JetBlue is a very good airline, even though it doesn’t have its own lounges. I have TSA PreCheck and I’m going to be getting CLEAR soon, so I don’t need to be hanging out in airline lounges since I can zip past security and head straight to the gate. The only lounges I really want to hang out in are Centurion Lounges. But, frankly, I love JetBlue Mint. That being said, it’s not perfect. On my last flight, the plane was new, the Wi-Fi didn’t work and they didn’t have the proper pillows. In general though, I love how JetBlue is expanding and I really want to fly Mint to the Caribbean this winter. JetBlue Mint is my favorite way to fly transcon. Virgin Atlantic — Miami (MIA) to London (LHR) Upper Class on the A340: I’ve tried flying Virgin Atlantic a couple of times now and I’ve come to the conclusion that I really don’t like flying it. The seats on my most recent A340 Upper Class trip were incredibly cramped. I think the same can be said for Air New Zealand, which I flew on a (thankfully) short route from Sydney (SYD) to Auckland (AKL). The seats were very cramped, and I don’t like that you have to stand up to recline into a bed. Both Virgin Atlantic and Air New Zealand get great reviews, but in general, as a tall traveler, I think they’re painful to fly. ANA — Haneda (HND) to Los Angeles (LAX) First Class on the “Star Wars” 777-300ER: I was pretty disappointed with the ANA first-class product — especially on the “Star Wars” jet. I had much higher expectations for ANA, but I didn’t think it was that great. There was a somewhat cramped seat and lackluster menu (though I did take a redeye and I passed out pretty quickly after 10 days of glorious Japan travel). 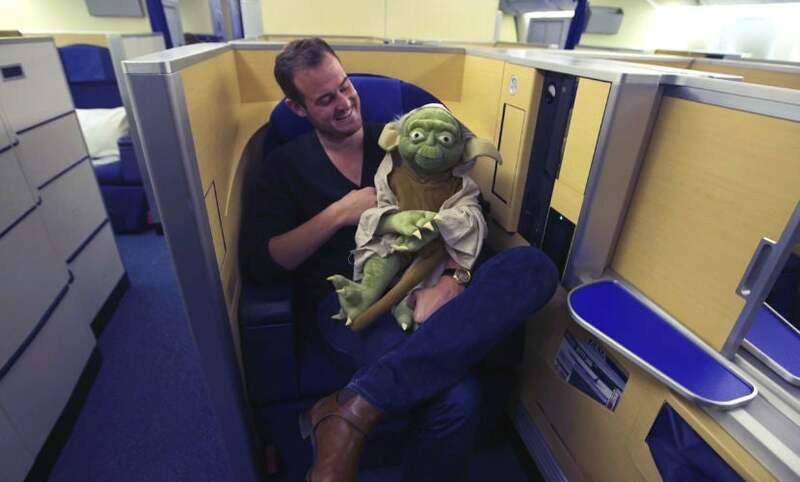 I actually preferred JAL’s first-class product — even if it wasn’t “Star Wars”-themed. ANA’s “Star Wars” 777 was a bit disappointing. United — Auckland (AKL) to San Francisco (SFO) on the 787 and Newark (EWR) to Brussels (BRU) on the 777 in BusinessFirst: Both of my experiences flying internationally with United this year were perfectly fine. My flights on United’s 777 and 787 were comfortable, even though they were both arranged in a 2-2-2 configuration. When that’s the case, I always choose one of the two middle seats because then you don’t have to climb over (or be climbed over by) anyone. I’m excited to try out Polaris — that’s definitely high up on my to-do list for 2017. I’m waiting to try it out on the new 777-300ER that United took delivery of the other day. My mediocre awards go to: South African New York (JFK) to Johannesburg (JNB) in Business Class on the A340-600 and KLM Cape Town (CPT) to Amsterdam (AMS) in World Business on the 787: Both flights were perfectly fine — nothing too special, but far from the most disappointing flights I’ve taken. The convenience of being able to fly nonstop from New York to South Africa when I was going for PeaceJam made the flight entirely worth it. Singapore — Los Angeles (LAX) to Tokyo (NRT) in Singapore Suites on the A380: I love Singapore Suites so much. Singapore has impeccable service — I think Singapore flight attendants are my favorite in the world. 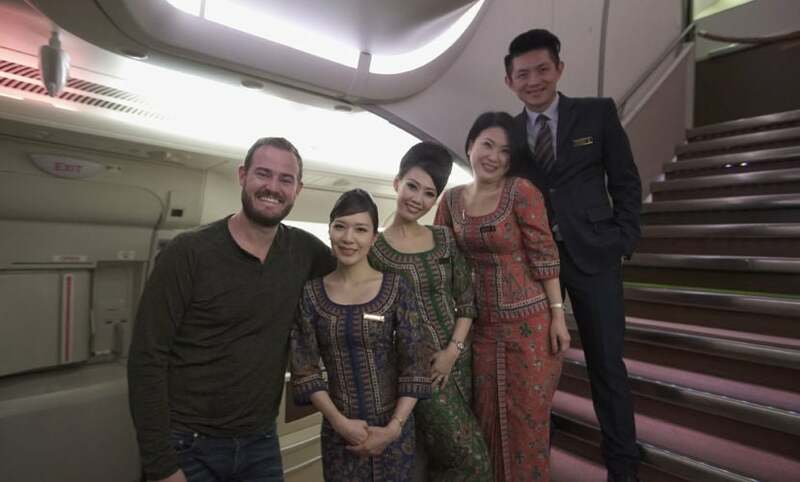 The Singapore crew is consistently friendly and attentive — and, come on, those Singapore outfits are amazing. Singapore flight attendants are my favorite in the skies. I do love the fact that the Middle Eastern carriers have showers on their aircraft, and I did confirm that Singapore won’t be adding showers when it redoes its Suites class on the A380. That being said, Singapore Suites offers incredible value (I paid just 74,375 KrisFlyer miles + $23) for an amazing product. I’m so in love that I just flew it on a much longer route (stay tuned for the full review). 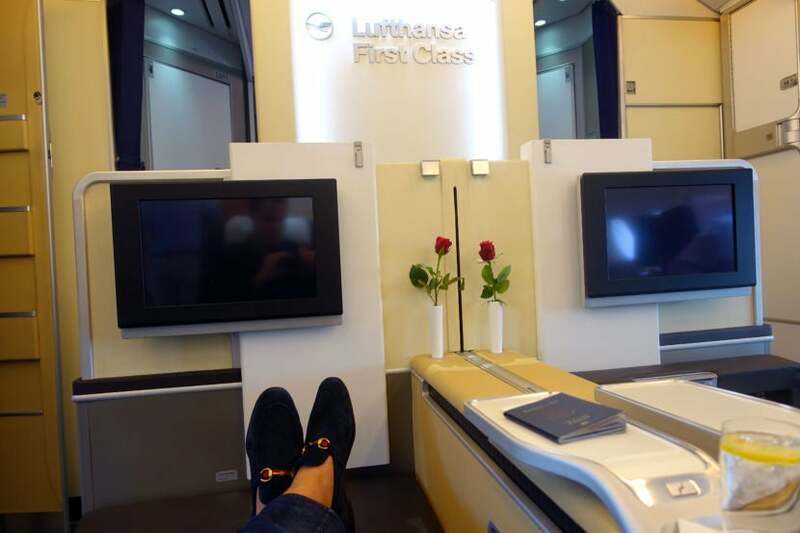 Lufthansa — Frankfurt (FRA) to Miami (MIA) in First Class on the A380: This was — by far — my favorite flight of the year. Normally I would have redeemed 70,000 miles transferred from Amex Membership Rewards + $350 for the one-way, but Aeroplan’s site was down so I transferred points from Chase Ultimate Rewards and booked with 110,000 United miles + $200. That’s not as good of a deal, but there was only one seat left and this was a very last-minute ticket to get me home when I was feeling sick. Lufthansa flight attendants are a close second behind Singapore’s — they’re consistently really solid and friendly. When I was sick, it was like having my own German mother on the plane who doted over me to make sure I was OK. When I look at some of my favorite redemptions, Lufthansa First is way up there. Everything — from the hard product to the soft — is impeccably done. It’s one of those experiences that you really don’t want to end — unless you’re sick and the only thing you want to do is get in your own bed. I’ve stayed in a lot of hotels this year. Some were pretty amazing — like the one I’m currently staying at in the Maldives (stay tuned for a full review) — and some that I couldn’t wait to check out of (think the Hilton Addis Ababa). So, instead of a rundown of every single property, I wanted to do a best/worst for the year with some hotel superlatives. 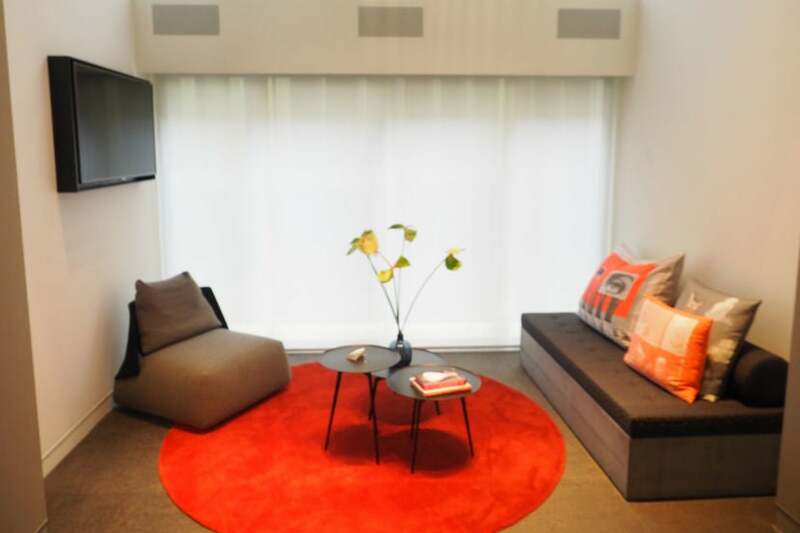 Coolest points hotel of the year: Les Bains (Paris, France) — Les Bains hotel in Paris was easily one of my swankiest points stays for the year. From my beautiful room to the property’s central location, it was a great stay. Les Bains is part of SPG’s Design Hotels portfolio where it’s a Category 7 property, requiring 30,000-35,000 Starpoints for a free night. Runners-up for coolest points hotel of the year: Andaz London Liverpool Street (London, England) — This property is chic. The place is really just impeccably decorated, and its location in London is ideal. It’s a Category 6 property with Hyatt, requiring 25,000 points for a free night. The Cosmopolitan (Las Vegas, Nevada) was also a very chic property and one of my favorites in Vegas. It’s a Category 9 property with Marriott, requiring 45,000 points for a free night. Best upgrade/location/most historic property: The Gritti Palace, a Luxury Collection Hotel (Venice, Italy) — Venice is a city full of history, and the Gritti Palace gives you that historic vibe. Inside, it’s very classic in decor, making it super luxurious. 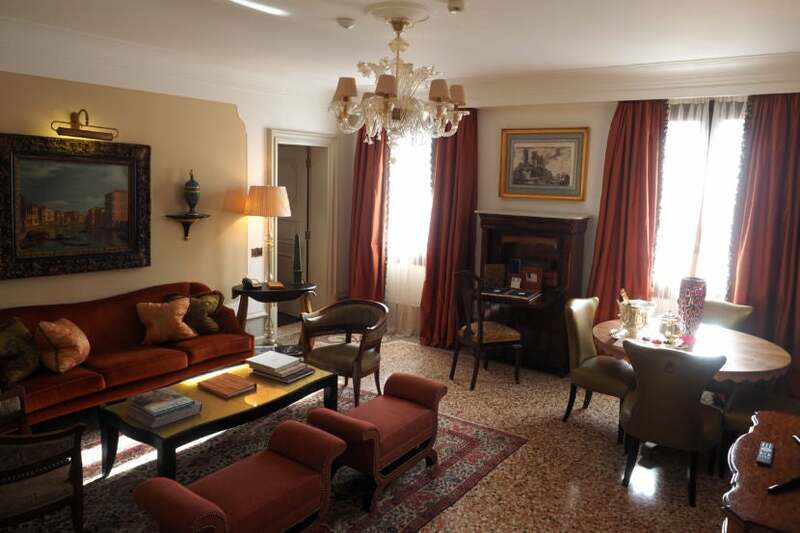 And its location in San Marco — and the fact that I got an amazing upgrade — makes it even more ideal. It’s an SPG Category 7 property, requiring 30,000-35,000 Starpoints for a free night. The Gritti Palace in Venice, Italy, was a great stay. Coolest non-points hotels of the year: Of course, I have to give mention to some of my favorite non-points hotels that I stayed in for the year. A couple of my favorites were the Hotel Casa Santo Domingo (Antigua, Guatemala) and the Movenpick Ambassador Hotel Accra (Accra, Ghana). If you’re visiting either of those places, consider taking a break from the points hotels and check them out. Property with the best room but horrible service: Nobu Hotel at Caesars Palace (Las Vegas, Nevada) — I had high hopes for the Nobu, as I’m a huge fan of the Nobu restaurants. 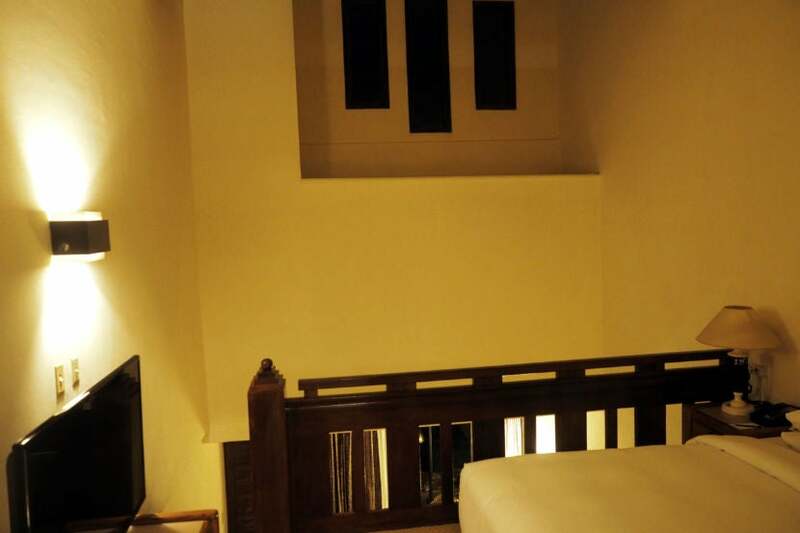 My room itself was huge, but I was very disappointed with the service, and service can either make or break a stay. Unfortunately for Nobu, the service made my stay terrible. Worst service: W Amsterdam (Amsterdam, Netherlands) — I’m a firm believer that service (whether it’s good or bad) can completely change a stay or flight. Even if I’m at an average property, if the service is great, it can make it a memorable stay. The W Amsterdam was nice, but the service was absolutely horrible — repeat calls and no answer and a room that wasn’t ready until 30 minutes after check-in when they told me it would be ready early. My room at the W Amsterdam was nice, but the horrible service ruined the stay. Service is all about expectations, and the staff there was discombobulated — I’ve talked to a lot of people who’ve stayed there this year with similar stories. It’s a beautiful hotel in a great location — I just hope the service improves. 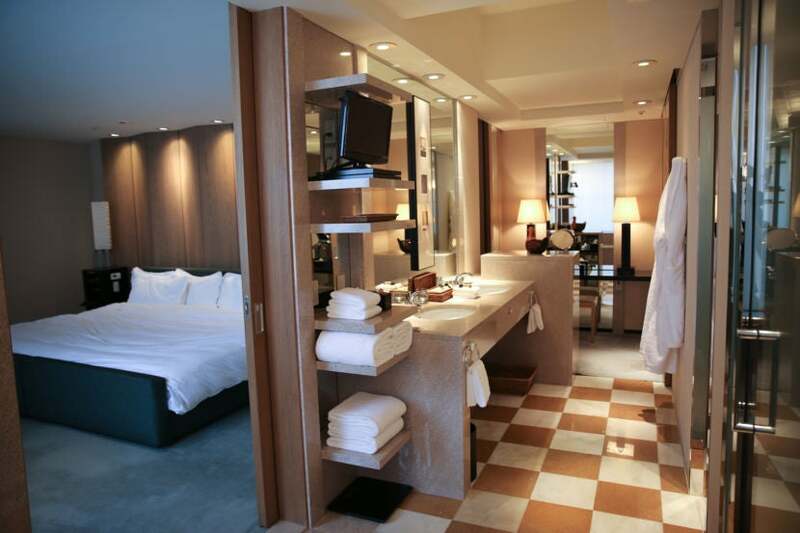 It’s an SPG Category 6 property, requiring 20,000-25,000 Starpoints for a free night. The most bizarre property: Hyatt Regency Baltimore: Baltimore Inner Harbor Hotel (Baltimore, Maryland) — My stay at the Baltimore Inner Harbor was a first — in a bizarre, unfortunate way. It was the first time I’d stayed in a suite that wasn’t actually a suite. The “suite” was a separate room that was locked the whole time — I never ended up using it. It’s a Category 3 property with Hyatt, requiring 12,000 points for a free night. The property that most needs to be bulldozed: Hilton Addis Ababa (Addis Ababa, Ethiopia) — This whole property was a disaster, and I thankfully only stayed for one night. I had a King Executive Duplex room, and the set up was terrible — and the windows were even more awful because there were no blinds and the sunlight just poured into your eyes. It needs a serious remodel, or just to be bulldozed and started anew. It’s an HHonors Category 6 property, requiring 30,000-50,000 points for a free night. The Hilton Addis Ababa was terribly designed, especially the windows with no blinds. 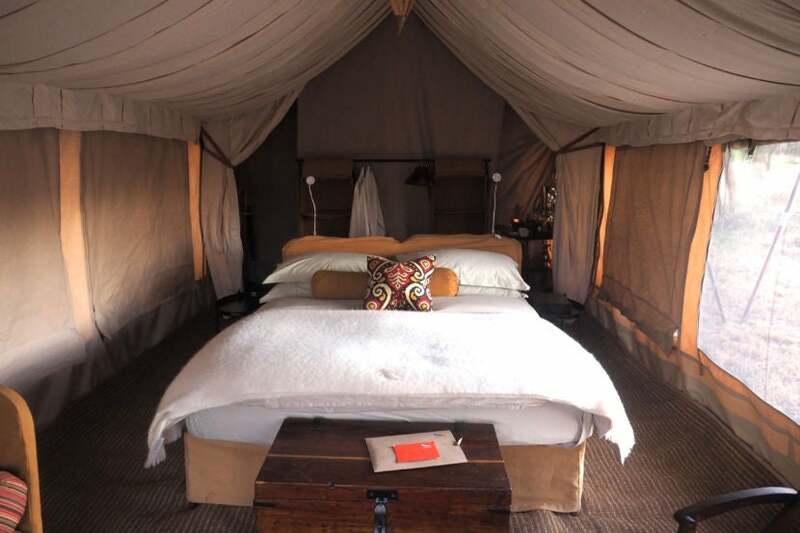 Lodging with just bad overall service: &Beyond Serengeti (Tanzania) — My first trip to Africa for this year was truly the trip of a lifetime. But I left the continent with a bad taste in my mouth from &Beyond. After a great first couple of days, they essentially tried to end my safari one day early without explanation. &Beyond has since apologized, but it was not a pleasant situation. My room at the &Beyond safari in Tanzania. Property with the smallest rooms: The Langham Auckland (Auckland, New Zealand) — As a tall traveler, big rooms are a necessity for me, and it’s better yet when there are tall ceilings. The Langham Auckland was very small — I actually had to duck through doorways. That, plus a lackluster club, left me wanting more. Properties that would be much better with renovations: I feel hopeful for both the Park Hyatt Tokyo and the Park Hyatt Chicago. I think that with a little TLC they could each be one of the best options in their respective cities. My stays at both of the properties were perfectly comfortable, but I’d like to see a little updating. The Park Hyatt Tokyo could use a little renovating. Looking forward to 2017 (because I truly never stop thinking about where I’m going to go next), one of my main priorities is exploring South America. It’s the only continent (besides Antarctica) I feel like I haven’t sufficiently explored yet, so I’m determined to do that next year. First on my South America bucket list is flying Delta One to Lima (LIM) in its lie-flat seat. I’m also going to try to explore the South Pacific more. I’m thinking about trying Air France from Los Angeles (LAX) to Tahiti (PPT) on its 777. Oh, and since I’ve already flown the Etihad Residence, I still want to fly the Apartment. I’m just waiting for a day I can go when there’s availability, but it’s definitely on my list for 2017. Overall, this year was absolutely amazing. And thankfully, it was generally a safe year — I only had one real incident on a plane when I was flying from New York (JFK) to Accra (ACC). We had to turn around about three hours into the flight to go back to JFK, which was annoying and a little bit scary but turned out to be OK. I can look back on the year and say that I didn’t have many bad experiences. And as far as 2017, I can only hope that it’s half as adventurous as 2016. Finally, I want to thank all of you for joining me on my travel experiences. I hope you’ve learned something along the way and have been able to score some great redemptions of your own. Be sure to follow me on Instagram, Facebook, Snapchat and Twitter to keep up with my journeys in the coming year.